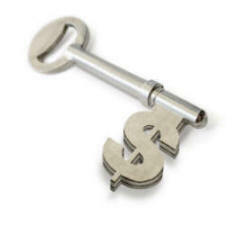 The easiest assets to attach are bank accounts. If bank accounts are located, the court will enforce the provisions of your judgment. There are many important legal tools that can be utilized to retrieve assets once they have been identified. This section details the more important lawful procedures available. • Writ of Execution - This is a common judicial order that directs the enforcement of a judgment. The writ instructs the sheriff or constable to seize the debtor's non-exempt property for sale at auction. The proceeds are directed to the creditor. • Turnover Order - This remedy is generally applied when there is no other means that can satisfy the judgment. This orders a debtor to turn all non-exempt property over to the judgment holder. This remedy permits the holder of a judgment to cast a wide net to draw in all available assets when the debtor's property cannot easily be attached or seized by the ordinary legal process. It is not necessary for the holder of a judgment to first exercise all other remedies before seeking such an order. • Bank Levy – This order enables judgment holder to attach debtor's bank account. Investigative Professionals specializes in locating debtor assets, for attorneys and law firms, private Investigators, corporations, financial institutions, landlords and collection agencies. Social Security Security Number required. If you do not have an SSN, we will locate one for you for an additional $50. If you are attempting to collect funds on financial judgments, we can help in a very meaningful way. Bank location and approximate balance may be verified. Account numbers are not reported. Accounts are confirmed by required Social Security Number (SSN) for individuals or (FEIN) for companies. All Searches are in compliance with Federal and State laws. A copy of judgment or court order may be requested. Bank Searches Prices If we are unable to locate a bank account there is not charge. NO HIT - NOT FEE. Please allow 7 to 14 days for results.